If you have become involved in a car accident in Atlanta, you may be facing substantial financial losses due to the collision. If you got hurt, you have medical bills to pay and you may have lost income due to missed work or taking sick days. You may also have property damage, and may be in significant pain. 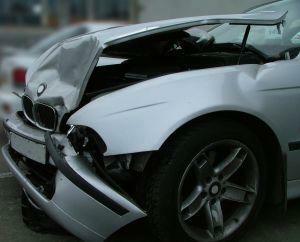 The law allows you to recover compensation for accident losses, but you have to prove your right to damages. This means demonstrating the other driver was negligent or broke the rules of the road. It also means showing the extent of your losses. You'll need convincing evidence to either get an insurance company to make you a reasonable settlement offer or to convince a jury to award you damages in a civil claim. An Atlanta car accident attorney can help you to prove your case for compensation, so call an attorney as soon as you can after an accident. A police report from the collision scene: Police should describe what they believe happened to cause the accident, based on what they observe at the crash scene. A report from law enforcement can help corroborate your version of events. Witness testimony: Witnesses who saw the accident occur can also describe how the motorist who caused the accident behaved in the moments leading up to the collision. It is important to obtain the contact information from witnesses so you can get in touch with them if you need them to confirm what happened. Testimony from an accident reconstruction specialist: Accident reconstruction specialists can help you to prove how the accident happened by reviewing evidence from the crash scene and by reviewing the damage to the vehicles. Photos from the crash scene: Crash photos can help to show how the accident occurred and can also illustrate the severity of the damage by showing the condition of the vehicles following the accident. Medical records: Collision victims must be able to show how severe their injuries are. Medical records demonstrate the extent of the physical damage that the accident caused. Medical bills also show the financial loss the injury caused you to experience as you paid for treatment. An Atlanta car accident lawyer can help you to obtain all of these different kinds of evidence so you can put together the strongest case possible. You deserve to be fully compensated, so be sure you have the ability to prove your claim and the extent of your damages by getting an attorney involved early to help you to collect vital evidence.